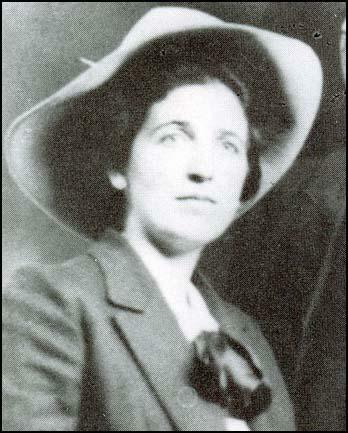 Elizabeth Gurley Flynn, the daughter of Irish immigrants, was born in Concord, New Hampshire on 7th August, 1890. The family moved to South Bronx in 1900 and Flynn was educated at the local public school. She later recalled: "I hated poverty. I was determined to do something about the bad conditions under which our family and all around us suffered." Converted by her parents to socialism, she was only 16 when she gave her first speech, What Socialism Will Do for Women , at the Socialist Club in Harlem. As a result of her political activities, Flynn was expelled from high school. In 1905 representatives of 43 groups who opposed the policies of American Federation of Labour, formed the radical labour organisation, theIndustrial Workers of the World (IWW). At first its main leaders were William Haywood, Vincent Saint John, Daniel De Leon and Eugene V. Debs. 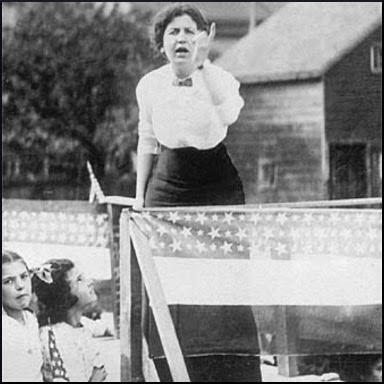 Other important figures in the movement included Mary 'Mother' Jones, Lucy Parsons, Hubert Harrison, Carlo Tresca, Joseph Ettor, Arturo Giovannitti, James Cannon, William Z. Foster, Eugene Dennis, Joe Haaglund Hill, Tom Mooney, Floyd B. Olson, James Larkin, James Connolly, Roger Nash Baldwin, Frank Little and Ralph Chaplin. Flynn became a full-time organizer for the IWW in 1907. In January 1912 the American Woolen Company in Lawrence, Massachusetts, reduced the wages of its workers. This caused a walk-out and the Industrial Workers of the World (IWW), who had been busy recruiting workers into the union, took control of the dispute that became known as the Lawrence Textile Strike. The IWW formed a strike committee with two representatives from each of the nationalities in the industry. It was decided to demand a 15 per cent increase in wages, double-time for overtime work and a 55 hour week. Faced with growing bad publicity, on 12th March, 1912, the American Woolen Company acceded to all the strikers' demands. By the end of the month, the rest of the other textile companies in Lawrence also agreed to pay the higher wages. However, Joseph Ettor and Arturo Giovannitti, remained in prison without trial. Protest meetings took place in cities throughout America and the case eventually took place in Salem. On 26th November, 1912, both men were acquitted. It was a great success for the Elizabeth Gurley Flynn and the IWW. On 27th January, 1913, 800 employees of the Doherty Silk Mill at Paterson, New Jersey, went on strike when four members of the workers' committee were fired for trying to organize a meeting with the company's management to discuss the four-loom system. Within a week, all silk workers were on strike and the 300 mills in the town were forced to close. Flynn, Bill Haywood, and Carlo Tresca of the Industrial Workers of the World arrived in Paterson and took over the running of the strike. Flynn held successful weekly meetings for women only. During the dispute over 3,000 pickets were arrested, most of them received a 10 day sentence in local jails. Two workers were killed by private detectives hired by the mill workers. These men were arrested but were never brought to trial. John Reed, the well-known socialist journalist, arrived in the town to report the strike. He was soon arrested and imprisoned in Paterson County Jail. When the police found that he was embarrassing them by writing articles on prison conditions, they released him. 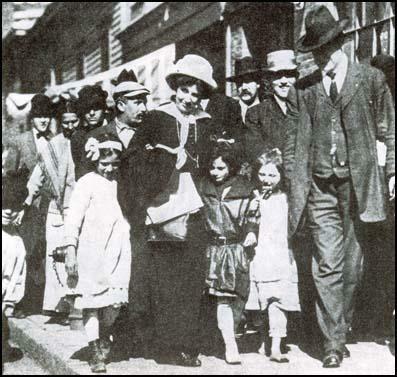 Other left-wing journalists such as Walter Lippman and Mabel Dodge arrived to show solidarity with Reed and to support the demand that reporters should be free to report industrial disputes. John Reed, Mabel Dodge and John Sloan organised a Paterson Strike Pageant in Madison Square Garden in an attempt to raise funds for the strikers. Dodge later wrote: "For a few electric moments there was a terrible unity between all of these people. They were one: the workers who had come to show their comrades what was happening across the river and the workers who had come to see it. I have never felt such a pulsing vibration in any gathering before or since." However, as Bertram D. Wolfe pointed out: "It is hard work to fill Madison Square Garden. The dollar and two-dollar seats remained almost empty until workers and strikers were let in free or at ten cents a seat. Instead of making money, the pageant ended with a deficit." The strike fund was unable to raise enough money and in July, 1913, the workers in Paterson were starved into submission. Flynn defended the way the Industrial Workers of the World run the campaign: "What is a labour victory? I maintain that it is a twofold thing. Workers must gain economic advantage, but they must also gain revolutionary spirit, in order to achieve a complete victory. For workers to gain a few cents more a day, a few minutes less a day, and go back to work with the same psychology, the same attitude toward society is to achieve a temporary gain and not a lasting victory. For workers to go back with a class-conscious spirit, with an organized and determined attitude toward society means that even if they have made no economic gain they have the possibility of gaining in the future." After the Lawrence Textile Strike and the Paterson Textile Strike Flynn helped to organise campaigns among garment workers in Pennsylvania, silk weavers in New Jersey, restaurant workers in New York City, and miners in Minnesota. During this period the writer, Theodore Dreiser, described her as "an East Side Joan of Arc." Flynn was arrested ten times during this period but was never convicted of any criminal activity. Eugene Lyons met Flynn during this period. In his autobiography, Assignment in Utopia (1937), he described Flynn as "the most brilliant woman I had ever met. A veteran of the front trenches in the labor struggle since fifteen, she was, at thirty, attractive, winsomely Irish in her wit and her savor of life, with a remarkably cool intelligence behind her fiery oratory and personality. In the Mesaba Range strike, the Paterson and Lawrence strikes, her eloquence and courage and sweetness had won her tens of thousands of worshipful friends among the workers." A founding member of the American Civil Liberties Union, Flynn was active in the campaign against the conviction of Sacco-Vanzetti. Flynn was particularly concerned with women's rights. She supported birth control and women's suffrage. Flynn also criticised the leadership of trade unions for being male dominated and not reflecting the needs of women. 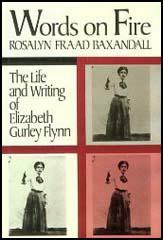 Elizabeth Gurley Flynn's biographer, Rosalyn Fraad Baxandall, has pointed out: "After a brief marriage she left her husband and returned to her family, and remained with them most of her life. Her mother and her sister Kathie, a schoolteacher, raised her son, Fred (1911-1940), who died tragically as the result of an operation." 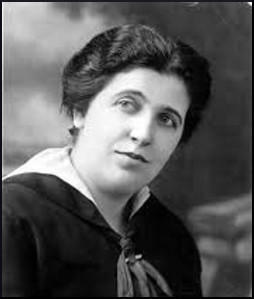 Flynn had a love affair with Carlo Tresca and when the relationship came to an end in 1928 she had a breakdown and ceased to be active in politics for the next eight years. In 1936 Flynn joined the Communist Party of the United States and wrote a feminist column for his journal, the Daily Worker. Two years later she was elected to the national committee. She was mainly a figurehead and rarely dissented from the party line and did not question the Great Purge of those Bolsheviks who were accused of being followers of Leon Trotsky. As Paul Buhle has pointed out: "The public portrayals of Russia as a virtual paradise for workers and peasants required great credulity, even in the best of times, and the later 1930s were far from the best of times. Stalin's purges of the Old Bolsheviks through the Moscow Trials required ideological overkill from American Communists, which baffled and pained their liberal allies." Flynn also supported the foreign policy of the Soviet Union. It was argued that this was the best way to defeat fascism. However, this view took a terrible blow when on 28th August, 1939, Joseph Stalin signed a military alliance with Adolf Hitler, and other leaders of the party decided to support the Nazi-Soviet Pact. As John Gates pointed out that this created serious problems for the party. "We turned on everyone who refused to go along with our new policy and who still considered Hitler the main foe. People whom we had revered only the day before, like Mrs. Roosevelt, we now reviled. This was one of the characteristics of Communists which people always found most difficult to swallow - that we could call them heroes one day and villains the next." When the United States joined the Second World War and became allies with the Soviet Union, attitudes towards communism changed. Flynn played an important role in the campaign for equal economic opportunity and pay for women and the establishment of day care centres for mothers working in industry. In 1942 Flynn ran for Congress in New York and received 50,000 votes. On the morning of 20th July, 1948, Eugene Dennis, the general secretary of the American Communist Party, and eleven other party leaders, including William Z. Foster, Benjamin Davis, John Gates, Robert G. Thompson, Gus Hall, Benjamin Davis, Henry M. Winston, and Gil Green were arrested and charged under the Alien Registration Act. This law, passed by Congress in 1940, made it illegal for anyone in the United States "to advocate, abet, or teach the desirability of overthrowing the government". Flynn launched a campaign for their release, but in June 1951 was arrested in the second wave of arrests and charged with violating the Alien Registration Act. After a nine-month trial she was found guilty and was sentenced to a three-year term. Miriam Moskowitz, also a member of the Communist Party of the United States, was at the Women's House of Detention when Flynn and Marion Bachrach were brought in. "They were lodged on my floor but in a different corridor so I did not see them until the afternoon recreation hour. I found them sitting on the roof and I introduced myself. Marian gasped. 'You're still here!' She took my hand and greeted me warmly. Gurley Flynn sat frozen, barely returning my greeting, and I was vaguely uncomfortable that she was signaling me that it was not a good idea for us to be seen hobnobbing together (spy and Communist fraternizing?). I disregarded her signals; for me it would have been a waste of a golden moment for companionship, no matter how ephemeral." In her autobiography, Phantom Spies, Phantom Justice (2010), she recalled: "Marian and I talked animatedly; I described the absurd customs and conventions characteristic of life in jail which she would need to be sensitive to, and I also told her I was awaiting a decision on my appeal. It was so good to talk naturally and freely with someone who shared my universe!... When we returned to the floor Marian wished me well and embraced me. Gurley Flynn barely nodded good-bye." Elizabeth Gurley Flynn served her sentence in the Alderson Federal Penitentiary in West Virginia (January 1955 through to May 1957). She later wrote an account of her prison experiences in The Alderson Story: My Life as a Political Prisoner (1955). 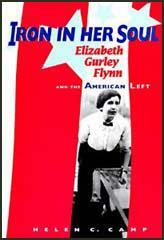 Elizabeth Gurley Flynn became national chairman of the Communist Party of the United States in 1961. She made several visits to the Soviet Union and died while there in September, 1964. She was given a state funeral in Red Square. In accordance with her wishes, Flynn's remains were flown to the U.S. for burial in Chicago's Waldheim Cemetery, near the graves of Eugene Dennis, Bill Haywood and the Haymarket Martyrs. What is a labour victory? I maintain that it is a twofold thing. Workers must gain economic advantage, but they must also gain revolutionary spirit, in order to achieve a complete victory. For workers to gain a few cents more a day, a few minutes less a day, and go back to work with the same psychology, the same attitude toward society is to achieve a temporary gain and not a lasting victory. For workers to go back with a class-conscious spirit, with an organized and determined attitude toward society means that even if they have made no economic gain they have the possibility of gaining in the future. (2) Police report on Elizabeth Gurley in 1924. Arrested in New York, 1906, free-speech case, dismissed; active in Spokane, Washington, free-speech fight, 1909; arrested, Missoula, Montana, 1909, in free-speech fight of I.W.W., Spokane, Washington, free-speech fight of I.W.W., hundreds arrested; in Philadelphia arrested three times, 1911, at strike meetings of Baldwin Locomotive Works; active in Lawrence textile strike, 1912; hotel-workers strike, 1912, New York; Paterson textile strike, 1913; defense work for Ettor-Giovanitti case, 1912; Mesaba Range strike, Minnesota, 1916; Everett IWW case, Spokane, Washington, 1916; Joe Hill defense, 1914, Arrested Duluth, Minnesota, 1917, charged with vagrancy under law passed to stop I.W.W. and pacifist speakers, case dismissed. Indicted in Chicago IWW case, 1917. She began this amazing record by getting arrested on a street corner when she was fifteen. Her father was arrested with her. He never has been arrested since. It was only the beginning for her. The judge inquired, "Do you expect to convert people to socialism by talking on Broadway?" She looked up at him and replied gravely, "Indeed I do." The judge sighed deeply in pity. "Dismissed," he said. Joe O'Brien gives me a picture other at that time. He was sent to cover the case of these people who had been arrested for talking socialism on Broadway. He expected to find a strong-minded harpy. Instead he found a beautiful child of fifteen, the most beautiful girl he had ever seen. A young Joan of Arc is what she looked like to him with her dark hair hanging down her back and her blue Irish eyes ringed with black lashes. That was how she entered the Labor movement. Since then she has never stopped. Presently she joined the I.W.W., which was then in its golden age. Full of idealism, it swept the Northwest. They had free-speech fights everywhere. The authorities arrested them and more came. They crammed the jails to bursting. "In one town," said Elizabeth, "there were so many in jail that they let them out during the day. We outside had to feed them. Every night they went back to jail. At last the wobblies decided that when the jail opened they would not come out. People came from far and near to see the wobblies who wouldn't leave jail." This part of her life, organizing and fighting the fights of the migratory workers of the West, is the part other life that she likes most. Her marriage did not affect her activities. The arrival of her son did. His birth closed this chapter other life. My first sight of her was in Lawrence in the big strike of 1912. I arrived just after the chief of police had refused to allow the strikers to send their children to the workers' homes in other towns. There had been a riot at the railway station. Children had been jostled and trampled. Women fainted. The town was under martial law. Ettor and Giovannitti were in jail for murder as accessory before the fact. I walked with Bill Haywood into a quick-lunch restaurant. "There's Gurley," he said. She was sitting at a lunch counter on a mushroom stool, and it was as if she were the spirit of this strike that had so much hope and so much beauty. She was only about twenty-one, but she had gravity and maturity. She asked me to come and see her at her house. She had gone on strike, bringing with her her mother and her baby. There was ceaseless work for her that winter. Speaking sitting with the strike committee, going to visit the prisoner in jail, and endlessly raising money. Speaking, speaking, speaking, taking trains only to run back to the town that was ramparted by prison-like mills before which soldiers with fixed bayonets paced all day long. Almost every night when we didn't dine in the Syrian restaurant we dined in some striker's home, very largely among the Italians. It seemed to me I had never met so many fine people before. I did not know people could act the way those strikers could in Lawrence. Every strike meeting was memorable - the morning meetings in a building quite a way from the center of things, owned by someone sympathetic to the strikers, the only place they were permitted to assemble. The soup kitchen was out here and here groceries were also distributed and the striking women came from far and near. They would wait around for a word with Gurley or with Big Bill. In the midst of this excitement Elizabeth moved calm and tranquil. For off the platform she is a very quiet person. It was as though she reserved her tremendous energy for speaking. The Paterson textile strike followed Lawrence. In Lawrence there was martial law and militia. It was stern, cruel, and rigorous. The Paterson authorities were all of that and besides they were petty, niggling, and hectoring. Arrests were many. Jail sentences were stiff and given for small cause. Elizabeth was also arrested, but set free again The Paterson strike of all the strikes stands out in her memory. She got to know the people, and their courage and spirit were things that none of us who were there could ever forget. The strike on the Mesaba Range was the end of Elizabeth Gurley Flynn's activities as organizer in the I.W.W. Just after the Espionage Act had been passed it happened that we went to the theater together. "If I were in the I.W.W. now," she said, "whether I opened my mouth or didn't I would surely be arrested. It's rather nice to draw a long breath." Next day she was arrested just the same. She was one of the 166 people associated with the I.W.W. indicted for conspiracy. her first twenty years in the labor movement undimmed and undiscouraged. At the outset I want to emphasize what the crime involved in this case is, and what it is not. These petitioners were not charged with an attempt to overthrow the Government. They were not charged with overt acts of any kind designed to overthrow the Government. They were not even charged with saying anything or writing anything designed to overthrow the Government. The charge was that they agreed to assemble and to talk and publish certain ideas at a later date. The indictment is that they conspired to organize the Communist Party and to use speech or newspapers and other publications in the future to teach and advocate the forcible overthrow of the Government. No matter how it is worded, this is a virulent form of prior censorship of speech and press, which I believe the First Amendment forbids. But let us assume, contrary to all constitutional ideas of fair criminal procedure, that petitioners although not indicted for the crime of actual advocacy, may be punished for it. Even on this radical assumption, the other opinions in this case show that the only way to affirm these convictions is to repudiate directly or indirectly the established "clear and present danger" rule. This the Court does in a way which greatly restricts the protections afforded by the First Amendment. The opinions for affirmance indicate that the chief reason for jettisoning the rule is the expressed fear that advocacy of Communist doctrine endangers the safety of the Republic. Undoubtedly, a governmental policy of unfettered communication of ideas does entail dangers. To the Founders of this Nation, however, the benefits derived from free expression were worth the risk. I have always believed that the First Amendment is the keystone of our Government, that the freedoms it guarantees provide the best insurance against destruction of all freedom. So long as this Court exercises the power of judicial review of legislation, I cannot agree that the First Amendment permits us to sustain laws suppressing freedom of speech and press on the basis of Congress' or our own notions of mere "reasonableness." Such a doctrine waters down the First Amendment so that it amounts to little more than an admonition to Congress. The Amendment as so construed is not likely to protect any but those "safe" or orthodox views which rarely need its protection. Public opinion being what it now is, few will protest the conviction of these Communist petitioners. There is hope, however, that in calmer times, when present pressures, passions, and fears subside, this or some later Court will restore the First Amendment liberties to the high preferred place where they belong in a free society.